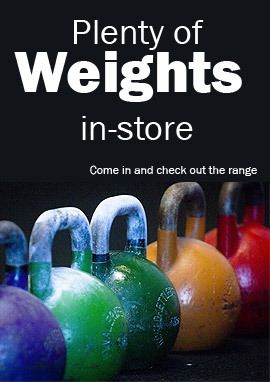 Welcome to Clever Fitness, Cambridge Park – Tasmania’s Health & Fitness Superstore. We are a Tasmanian owned and operated business, specialising in the supply of Home, Corporate and Commercial fitness equipment from the world’s best manufacturers and brands. We are proud to stock a massive range of quality equipment for all budgets. We service all the equipment we sell giving you the peace of mind that in the event of your equipment developing a fault, your purchase is backed by a full local service warranty and professional staff who are able to resolve the issues promptly. We offer a range of finance options including GE Creditline, Go Master Card. GEM Visa and Take Home Lay-By. If you do not require finance, come see our staff, we are always ready to talk deals.